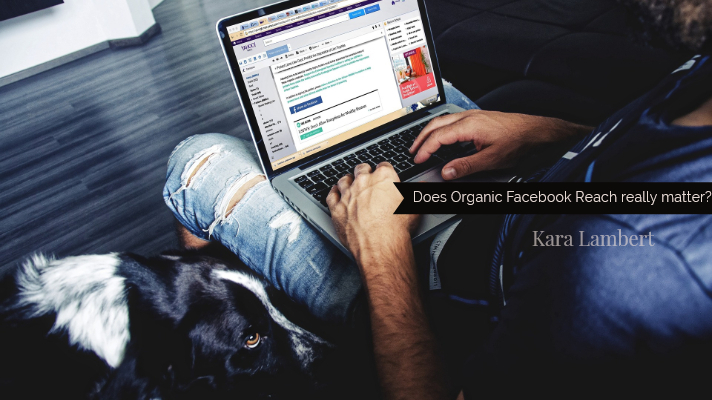 What is Facebook Organic Reach and why does it matter? Viral: The number of people who had any content from your Page or about your Page enter their screen because their friend likes or follows your Page, engages with a post, shares a photo of your Page and checks into your Page. Nonviral: The number of people who had any content from your Page enter their screen. This doesn’t include when someone’s friend likes or follows your Page, engages with a post, shares a photo of your Page and checks into your Page. To simplify, nonviral includes what you see in your Newsfeed because you follow a page. 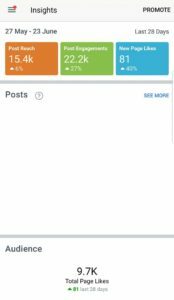 So why does Facebook Organic Reach matter? To be honest, most businesses I speak to do not have the money to constantly run Facebook Ads to push their page, content, or product/service into the Newsfeed of their desired audience. It’s as simple as that. Nonviral Facebook Organic Reach is their primary aim. They want their posts seen by their fans in their Newsfeed. Just like it was in the good old days of Facebook, before Facebook Ads or the Facebook Algorithm. When they were able to put up a post and have it seen and the people buy from it. Oh the memories! Viral Organic Reach on Facebook is important for growing their audience. They want new fans, new clients. They want to improve their social proof with an increased number of fans. Is Facebook Organic Reach really that necessary? While the statistics are old, let’s look at just how many business pages rely on Organic Reach rather than ads. The latest statistic on how many Facebook Pages there are dates back to 2015, at that point there were at least 50 Million Facebook Business Pages. Of those 50 Million, 4 Million (as at 2016) were advertising on Facebook. That’s eight percent of Facebook Pages who run ads. Which means 92% rely on Organic Facebook Reach alone. Not only does that number alarm me but it says that this is important. 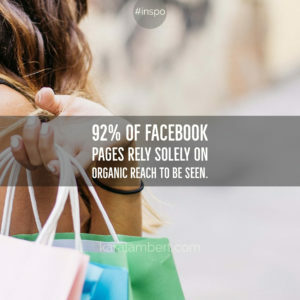 So why isn’t Facebook Organic Reach taken seriously? I’m not sure that most Marketers or social media coaches understand what it is and what proportion of the Facebook Business marketplace relies solely on organic Facebook Reach. I have to be honest; I didn’t until I did some research. What I did know was how many people came to me for help or downloaded my ebook on it. I knew how many people had attended my workshops and completed my course. All of these numbers pale into just how many Facebook Pages do NOT advertise. The other issue is that when you do a search for “Facebook Organic Reach” on Google you end up with millions of pages telling you how reach is falling and Facebook Pages are dead. The thing is that with page numbers tripling from 16 M in 2013 to over 50 M in 2015, it seems that Pages are most certainly alive. With 92% of these pages not advertising, why would anyone believe that most of them can’t afford to advertise? And who says reach is falling? Below are the insights of two of the Facebook Pages I still manage, I no longer offer social media management as I would rather put these skills in the hands of the 46 Million or so page owners who need it. These are not once off. These are regular numbers. If you look back through my Facebook Page, you will see. I’ve taught countless businesses how to do it for themselves. So why do businesses continue to believe the lies that pages are dead and reach is falling? I honestly don’t know because everything I see and do points the other way. 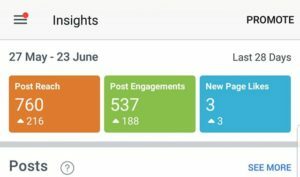 How do I get it the high Organic Reach on Facebook? I’ve run Facebook Pages since 2011. I’ve seen the introduction of the Facebook Algorithm and Facebook Ads. I’ve learnt through those years and these changes how to manipulate the Algorithm and what to post on Facebook. I’ve learnt what content is best posted at which times. I’ve researched the psychology of social media, Facebook, and engaging posts. I’m not sure that those sources saying that Facebook Organic Reach has dropped can say the same. But in the end, does Facebook Organic Reach truly matter? It does. To 92% of Facebook Page Owners, this is the only way their posts, products, & services will be seen. When over 90% of a market relies on one way to market themselves, that makes it important. These people need to know that the time they’ve invested isn’t lost. They need to know that the ‘random’ success they’ve seen is actually repeatable. They need to know that as the majority, this matters and is feasible. In the start of June 2014, I started blogging for this business. The business was very different back then. I was a proof reader, copy editor, and website auditor. I don’t provide any of these services any more but one thing I still do is a weekly blog (during school terms). Now that has meant that the subject matter has varied ever so slightly, I have learnt a fair bit about blogging in this time. 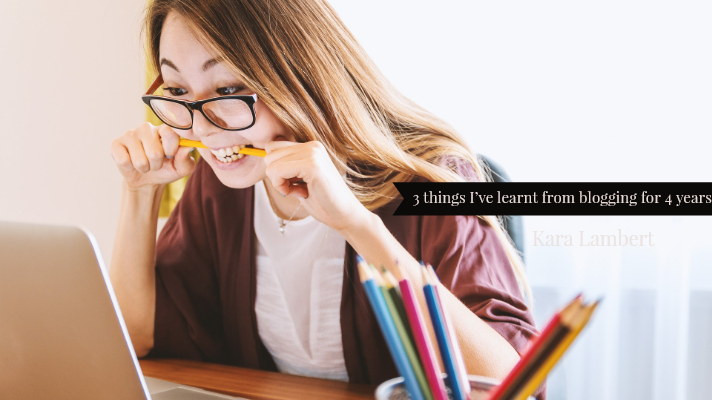 So what have I learnt and how can you use it with your blog – in fact any time you create content? A good proportion of my blog is me imparting knowledge to others. This could be things I find, it can also be the stuff that rattles around in my skull. This stuff is definitely not about me. Like this blog, it’s about you – the reader. None of this is self-serving. I do this to answer questions I see and hear. I do this to remove overwhelm and angst I see. Even if I get something out of it, at most an email address, I still come at this from a place of service. Here’s the kicker. Even when I am the subject matter, it’s not about me. When I’m writing about my experiences, I do so to show you that you’re not alone. I don’t want to be the guru preaching divine practice from the mount. I’m human and I want you to see that I fall and get up again. I want you to learn from me. That means holding a mirror to my actions and showing you the lesson. I know, it’s hard. It’s not just emotionally hard to be vulnerable. It can also be professionally hard to be vulnerable. In fact, it’s this second space which held me back the longest. 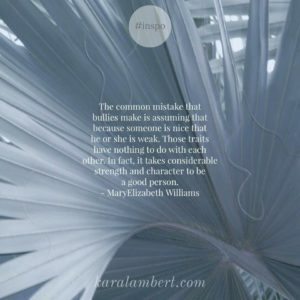 Here’s a secret when it comes to both blogging and vulnerability. Most people read blogs to connect with the blogger. They want a little insight into them and their lives. This is precisely what being vulnerable does. It allows the reader insight into who you truly are. There is a benefit to this. Other than the fact that it can be quite cathartic. Being vulnerable in your blogging gives that ‘like, know and trust’ factor a massive injection of all three. I will raise my hand high and proud to say that I am a bad blogger. I do not have a content clanedar. In fact, I’m very much the uni/high school student blogger, who blogs at the 11th hour. Now does that mean that I have crappy content? I hope not. Does it mean that my topics are often not strategic? A lot of the time. 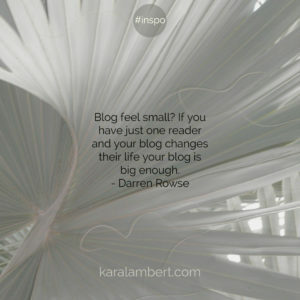 Does it mean that my blogs come together quickly? Now they do. Does it mean that my blogs are raw? They sure are! That’s the thing. I am a bit of a life blogger, you might say. 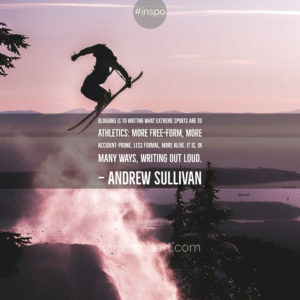 I blog from my life, from what I see and hear. I blog the topics which whizz around me. I’m a bit of an intuitive blogger. I take the topics which I see appearing repeatedly in my life and I blog RIGHT THEN! 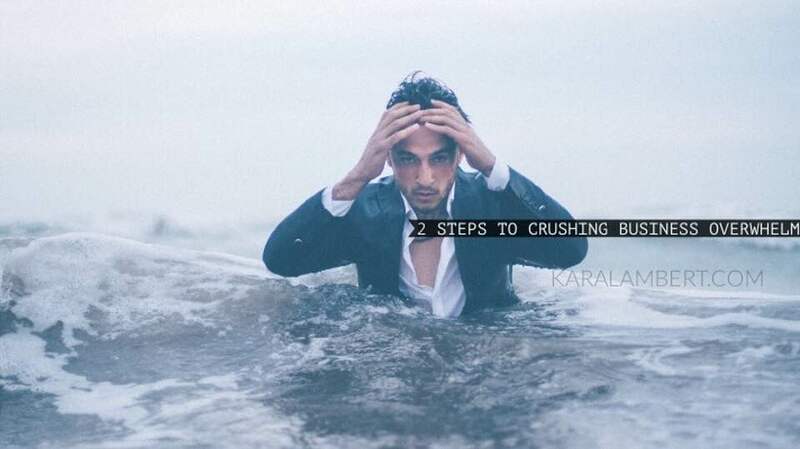 You can take these tips and apply it to any content creation. You can apply it to your emails. You can apply it to your videos. You can apply it to your Instagram. And you can certainly apply it to your Facebook Posts. Being focused on your audience, being vulnerable, and being relevant is just good content creation. And I hope I give that to you. There is a growing trend online in attacking business owners. Frankly I’m sick of it. I’m not talking about disagreeing on things or complaining about a product or service. 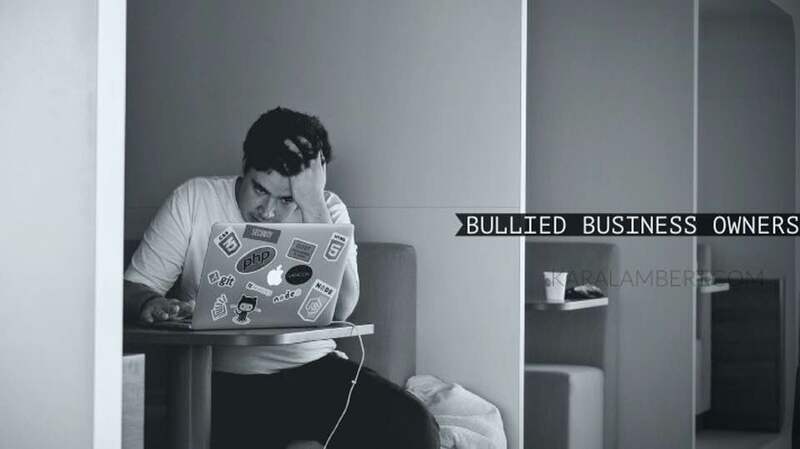 What I am talking about is the growing incidence of bullying of business owners online. So what do I mean? Cyber-bullying or stalking occurs when someone engages in offensive, menacing or harassing behaviour through the use of technology. It can happen to people at any age, anytime, and often anonymously. any other form of digital communication which is discriminatory, intimidating, intended to cause hurt or make someone fear for their safety. They also go on to say that while not all cyberbullying is criminal, there are penalties of up to $30 000 or 3 years imprisonment for serious offences. They also say that all Australian states & territories have laws against stalking. So while all of these legal protections are in place, my concern is actually why it happens in the first place and what business owners can do. So while ACORN list what bullying is, it’s interesting to look into what fuels the behaviour. Especially when it’s unprovoked by the business owner. What do I mean by unprovoked? I’m talking about instances where the business owner is bullied by someone who hasn’t bought a product or service and experienced poor workmanship or service. In fact, the often benefit from the free material and their attacks are personal in nature. They could have consumed a whole liturgy of free material, without fear or favour, and then attack the business owner out of the blue. So why do people bully? The person doing the bullying wants power or control over the person they are bullying. But what drives their need for control or power? I will continue to say that we have 5 key motivators: beliefs, fears, needs, goals, and values. When we become out of sync with these motivators we become stressed and this can manifest in many ways. The two main ways we manifest stress is either internally or externally. Bullies are externalising this imbalance. So some researchers say that the need for power comes from stress, trauma, learnt behaviours, insecurities. Some of this is an expression of fear. Fear of losing someone, fear of losing control. Some of this is a poor belief and value structure. That could be low self-esteem, that the business owner should be able to take it, that it’s online so it doesn’t matter, that you can’t read tone into online comments so it’s ok.
What I believe is that while they have fallen out of sync with their core motivators, they have also dehumanised the business owner to the business. The sad thing is that they want to be seen as an individual. They are generally personally affronted by something the business owner has done and attacks because they don’t feel like an individual, doing precisely what they feel has been done to them – dehumanised. In the end, we need to realise that regardless of if the relationship between the business owner and the individual is going well or is a bullying one, we need to remember that there is a person at either end of this. Dehumanising is destructive. To fight this, I encourage business owners to stand up against this. Report the bullying activity to the social media platform (if the bullying is on the platform), report it to the Internet Service Provider if it’s via email, report it to the police, and/or report it to ACORN. Finally I want to encourage the community as a whole to reclaim the term keyboard warrior from these people. These bullies are not warriors. Warriors protect, defend, and serve. Warriors are strong. I want those who stand up against online bullying to claim the term ‘keyboard warrior’, for we are the warriors in this. 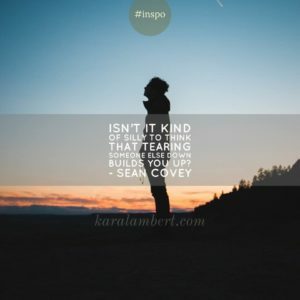 The other day I was talking with a lady who told the story of a friend who was struggling with business overwhelm because of the smallest decision for their business – what URL to choose. It’s not the first time I’ve heard this. I’ve had consultations with business who are overwhelmed with not getting anywhere with social media. But it’s not just where we show up in our business, we can be overwhelmed with how we show up. I’ve helped a number of business owners through this. They come to me with a particular tool they are struggling with, generally Facebook, and they feel utterly overwhelmed. Like with most of life, what we think is the problem rarely ever is. But the thing with overwhelm is that it is all encompassing and that so often we are unable to realise that there is more to the problem that meets the eye and if we only looked a little further the answer would be so clear and so simple. So often I see this overwhelm and it’s characterised by any or all of the following things. Sounds simple right? Too simple to answer the issue of this overwhelm! It’s not and here’s why. Humans are hard-wired for connection. Connection to our family, our friends, our community, our tribe. When we lose these connections we feel lost. As lost souls we grapple and grasp for things to give us direction and meaning. Much like connections do. In business we have three connections. Connection to self (our passions). Connection to business. Connection to clients (audience). 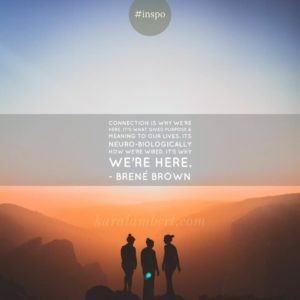 When one or more of these are out we feel out of whack and the more disconnection we have, the more overwhelmed we become. So what is some of the overwhelm I see in business? These are tools. The ‘what’ to do in business. Unfortunately they’re often made to be the should do in business too. Connection is the deeper why we do things in business. Remove them and we feel off kilter. So what is the one thing we’ve lost other than the connection which is contributing to overwhelm in business? We’ve lost that all of this connection is about people. We have lost that the ‘whats’ and ‘shoulds’ are actually about connecting to people. This is where I see the overwhelm sitting and this is where the relief comes when I show it to my coaching clients. Now for some this might seem simplistic, but I have to say that there is a tonne of science behind people, connection, and how they interplay with social media, communication, and business. And this fascinates me.